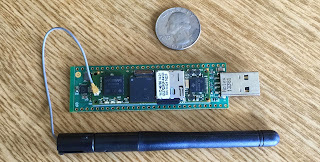 This writeup goes over details on how to build and install a Debian Wheezy Linux image for an Overo Gumstix board. The build notes and images in this post are for a stock Debian Wheezy OS configured for a Gumstix Overo device. The Debian image is configured for easy SSH network access over wired, wireless or USB when the Gumstix device is powered. This Debian build utilizes the kernel, modules and firmware from the Gumstix Overo Yocto build. You do not have to build your own Yocto image as this documentation utilizes a precompiled version, but if you are interested in building your own, you can check our my previous post "Building Yocto Linux Images for the Gumstix Overo"
How to manually build a Debian Wheezy image for a Gumstix Overo. An alternative scripted method to build a Gumstix Debian image. Where to download precompiled Debian Wheezy Gumstix Overo image if you are not interested in building them yourself. How to install a Debian Wheezy image to an SD card for your Gumstix board. 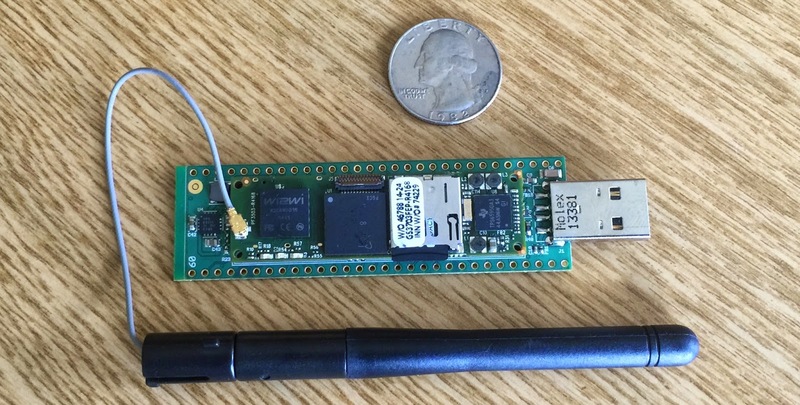 This writeup goes over some basics on how to build and install a Yocto Linux image for an Overo Gumstix board. The Yocto build described in this document can be directly installed on a Gumstix board or you can utilize the kernel, modules and firmware it creates to construct other Linux distributions (Debian, Kali, Ubuntu, Fedora, etc) for your Gumstix board. How to manually build and compile a Yocto image for a Gumstix Overo. A quick alternative way to build a Gumstix Yocto image. Where to download Yocto images if you are not interested in building them yourself. How to install a Linux image to an SD card for your Gumstix board. Ill start this post off by saying, I am not a huge Windows fan, but due to my line of work, I must keep up with Windows as much as possible. One of the newest features which actually excites me is the addition of the windows command line package management system called OneGet which can be found in the latest versions of Powershell and Windows. If you are familiar with Linux based package management systems such as apt, yum, and ebuild then you can think of OneGet as the Windows version of these systems. As of now, OneGet is available in Powershell version 5 which comes with Windows 10 Technical Preview. You can also utilize OneGet on Windows 8.1 if you upgrade Powershell to version 5 with the Windows Management Framework Preview which is available here. In this tutorial, I will assume you are going the Windows 10 route as I find updating Windows to 8.1 to be too time consuming for my tastes.